Today at All That Scraps we are previewing a very special image. The image is called Blowing Kisses from C. C. Designs. 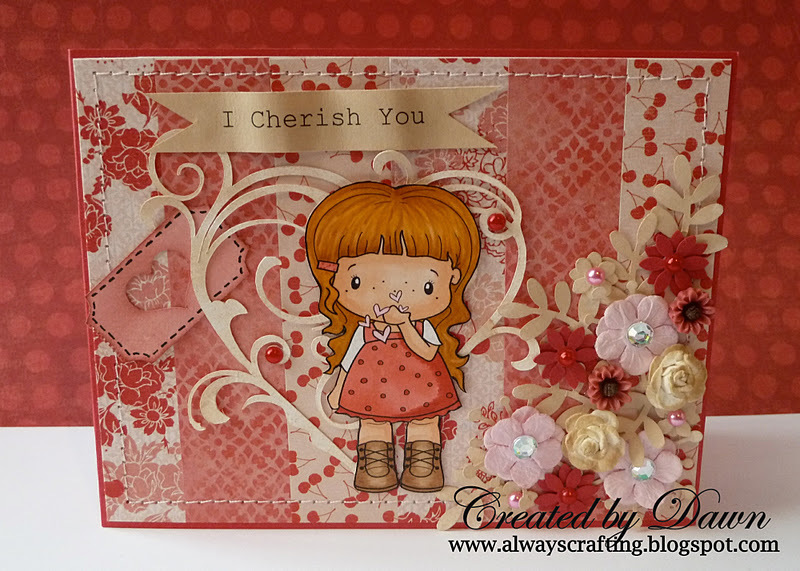 Such a sweet image that I had to make a very feminine card to go with it. Pretty card loving the pinks and red palette.